The sea is becoming uninhabitable. 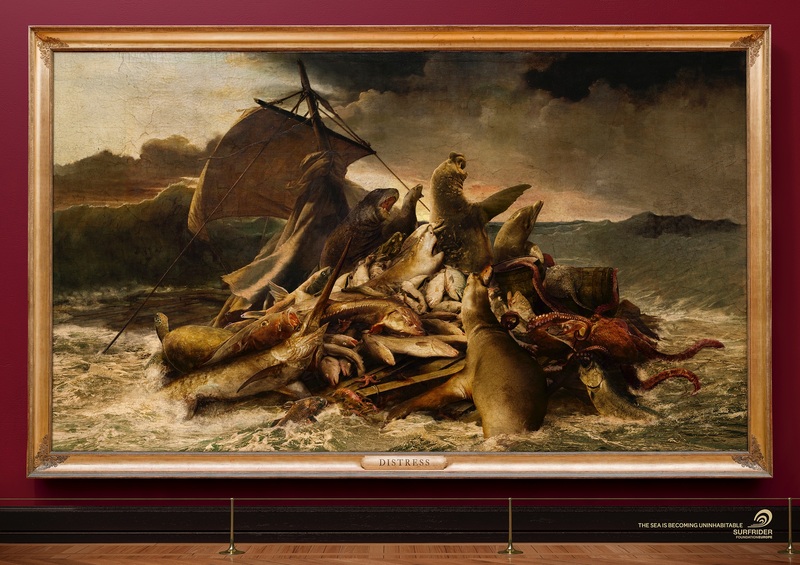 That’s the message Surfrider Europe is conveying in a new rendition of French classic painting “Le Radeau de la Méduse” (Raft of the Medusa) on tour through French art galleries. 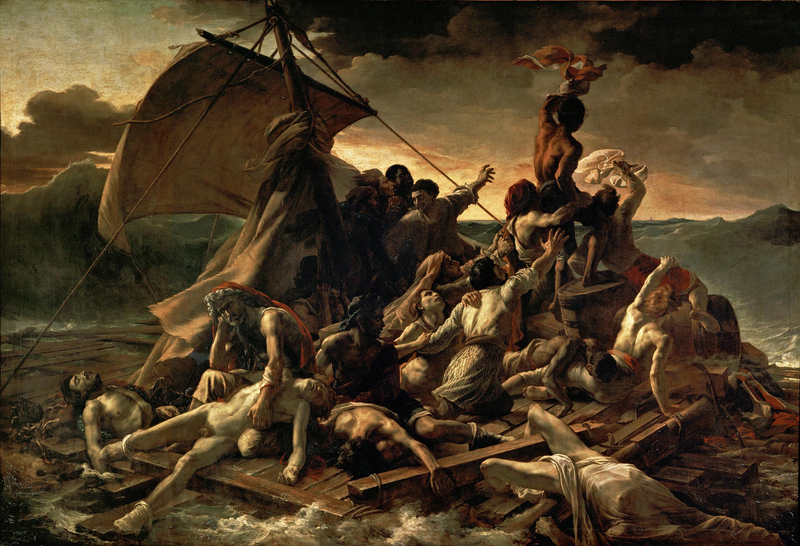 The original painting, by Jean Louis Théodore Géricault, showed the fifteen survivors of the wreck of the French naval frigate Méduse, which ran aground off the coast of today’s Mauritania in 1816. This version, titled La Détresse, shows surviving sea creatures desperate for signs of rescue. The painting was displayed at Le Jardin des Plantes in May 2015. The Surfrider Foundation Raft of the Medusa painting campaign was developed at Y&R Paris by creative director Pierrette Diaz, art directors Laurent Allory and Akim Zerouali, copywriter David Laloum, illustrator Jean Marie Vives at Watch Out. Printing was produced at The Shop.